Hi, I’m Chris Simber and I’ve been researching and studying economics, finance, and personal finance for over a decade. I am the cofounder and president of Jazer Solutions, LLC, and the designer/developer of Jazer personal finance software. I earned a bachelor’s degree in computer science from Rowan University and a master’s degree in management from the Wesley J. Howe School of Technology Management at the Stevens Institute of Technology. I have taught at the undergraduate and graduate levels, and I am currently a faculty member. 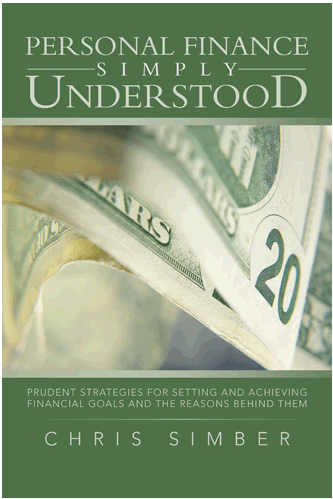 I recently wrote Personal Finance Simply Understood to explain basic financial language and concepts, and what everyone needs to know about personal finance, including how minor financial and lifestyle adjustments can put us on the pathway to debt elimination and help us to save the money we’ll need to protect ourselves and those we love. In the book I use charts, graphs, and simple language to provide the necessary expertise to set and achieve financial goals. If our goal is financial independence, then we need to: separate useful financial information from hype and noise; develop a strategy to eliminate debt; establish a saving plan; determine an investment plan to meet retirement needs in line with how much we really need to retire. In addition, understanding why financial crises like stock market crashes, housing market bubbles, and bank failures happen can help us with financial planning and keep us on track when the economy around us seems chaotic. Personal Finance Simply Understood provides the guidance needed to avoid financial pitfalls, and start making smarter decisions so that debt can be eliminated, savings increased, and life can be enjoyed responsibly. You can find it at your local bookstore, bookstore website, or you can click on the book cover image to the right.